Watch the 8-Minute Film. Explore the Site. Consider How What's Good for Panthers is What's Good For Most Floridians. Panthers need large landscapes. So do we. These lands are the source of our water, air, recreation, and the food we eat. Protecting these natural spaces makes Florida a special place to live for both people and wildlife. Who wants a paved peninsula? We must also understand and address the real losses and fears associated with those who are directly impacted by large predators. ​Living with Florida panthers is a complex issue requiring meaningful discussions between people of diverse viewpoints - like those represented in this 8-minute video produced by UPROAR. Learn about the history and issues surrounding Florida's large cat and the actions we can all take. Explore the landscapes where panthers live and places where you can see panthers. ​UPDATE: Sadly, Uno the blind panther featured in the video passed away unexpectedly in September 2018. His legacy will carry on through the memories of all who came to know this special cat and through this film. ​Zoo-Park Partnership for America’s Keystone Wildlife™. Looking for the Friends of the Florida Panther Refuge website? Click here. 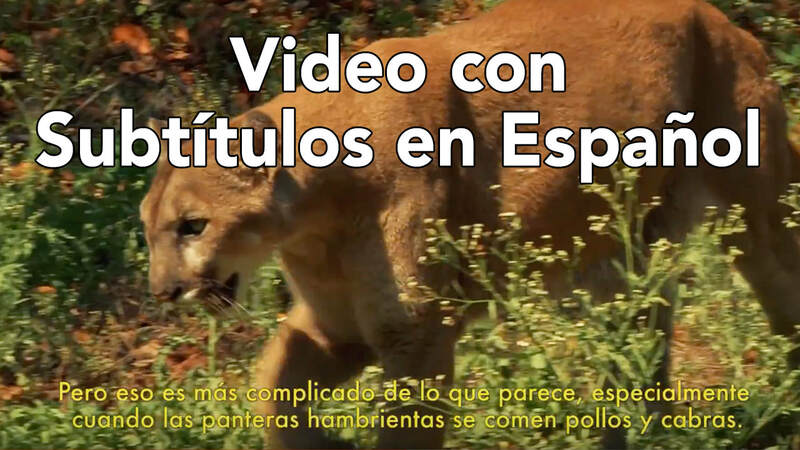 The intent of this video and website are to highlight the complexity of Florida panther recovery and to give voice to the diversity of stakeholders involved and affected. Panthers are part of Florida's heritage and can play a significant role in the future of the state through ongoing protection of public lands as well as conservation easements and other programs that enable private landowners to maintain large wild spaces. This video was created through a collaboration between Big Cypress National Preserve, Florida National Parks Association, Naples Zoo at Caribbean Gardens, and the South Florida National Parks Trust. The website is an effort of the Naples Zoo.